* What is the name of your Company? * How often have you used 'No Fee' Job Placement Services? * What is the primary benefit that you have received from our Agency? * Was your experience with Employment Consultants at The Diversity Initiative better than you expected it to be, worse than you expected it to be, or about what you expected it to be? * How respectful of your time are the Employment Consultants at our company? * How responsive have we been to your questions or concerns about our 'No Fee' Job Placement Services? * How would you rate the quality of our services? * How likely are you to use our service again in the future? 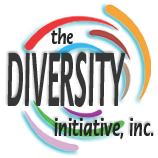 * How likely is it that you would recommend The Diversity Initiative to a friend or colleague? * If you are not likely to use our Job Placement Services, why not? * How Satisfied were you with the quality of the Candidate referred? * Was the Candidate TDI referred punctual? * Did the Referred Candidate maintain good attendance? * Was the Candidate appearance always neat & clean? * Did the Candidate we referred work productively on an independent basis? * Did the Candidate we referred interact well with Supervisors and other Employees/Colleagues? * How satisfied are you with the overall proficiency of this Employee at this time?